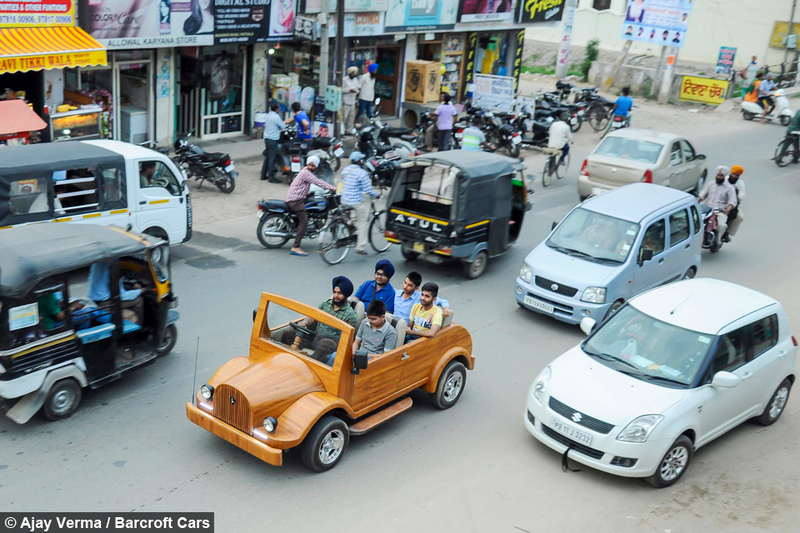 Amandeep and Mohinder Singh from Patiala, India, built the wooden car by hand – working up to 12-hours a day. 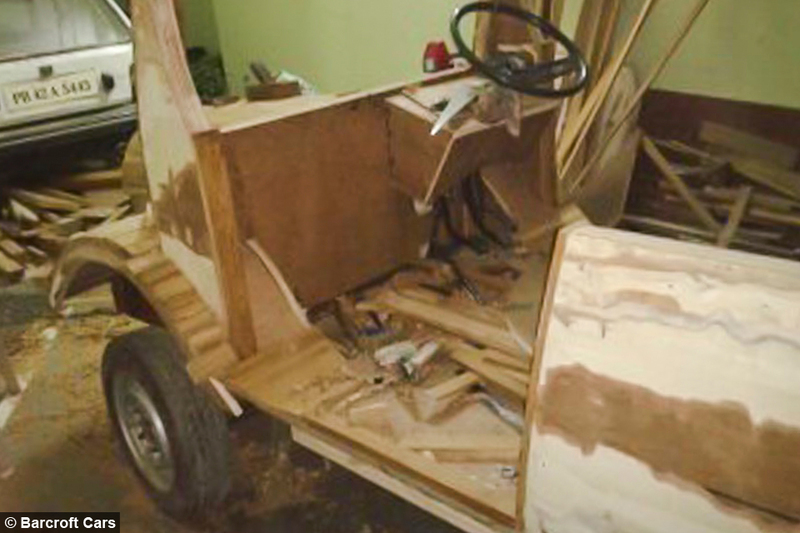 The car, which has a top speed of 75 mph, was carefully crafted using hundreds of planks of wood. The pair built the unconventional vehicle using traditional wooden materials covered in layers of varnish to build the classic car shape around the engine. 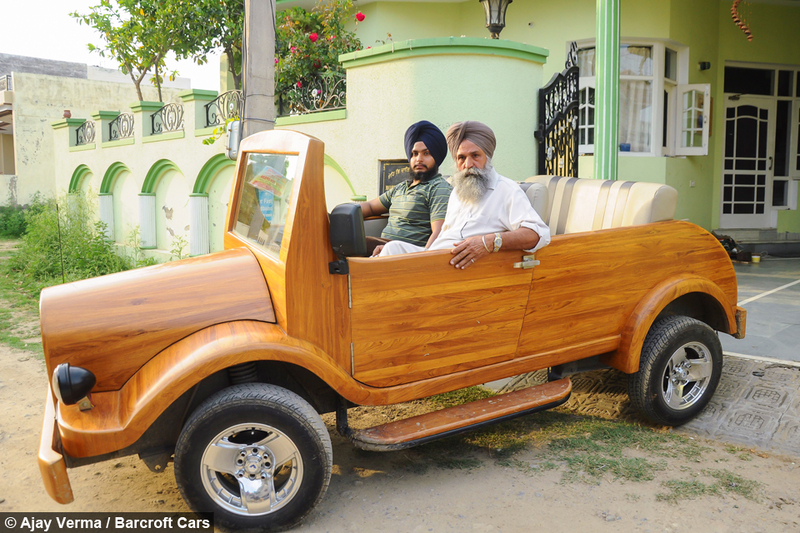 Mohinder, 55, decided to build the car when son Amandeep, 23, asked him if it would be possible to create a car from wood. He said: "We see all the other metal cars running on the road everyday - but I wanted to make a wooden car that would be unique. "From the engine to carving the teak wood - everything was done at home as we couldn't afford a workshop." 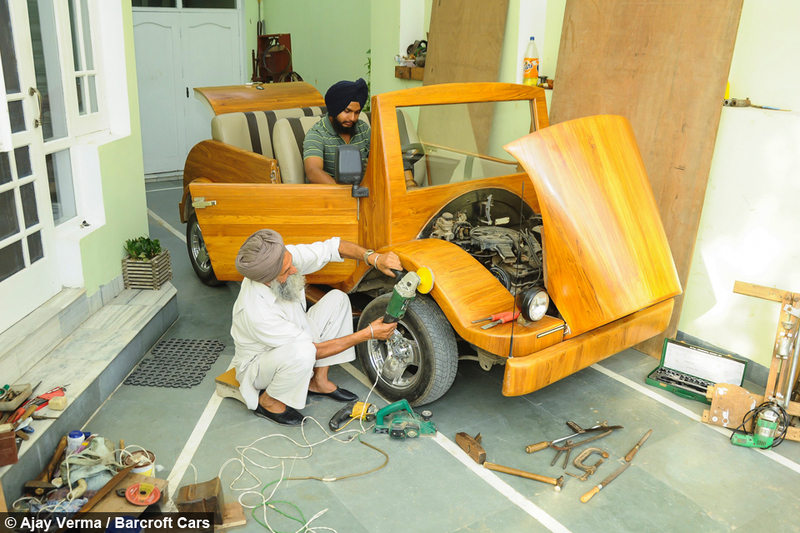 To begin the build the father and son team found a working 800cc engine then began to look for other body parts of the car, choosing teak wood to give the car a flawless finish. 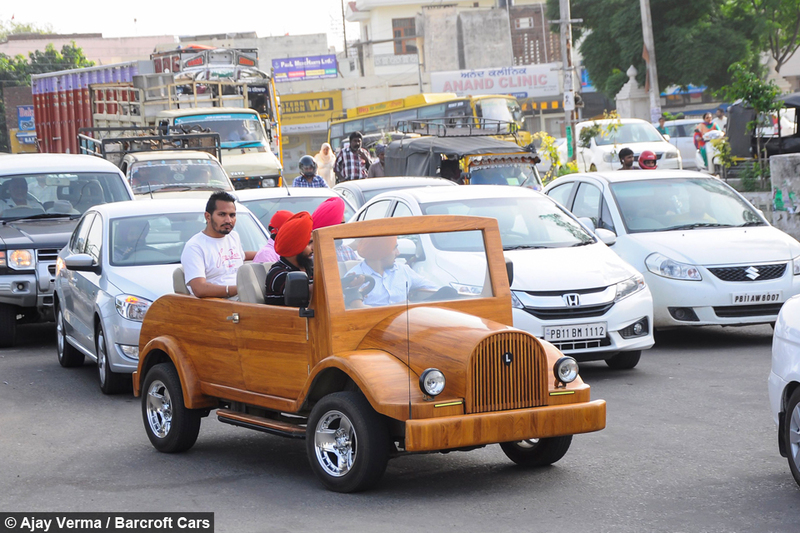 The wooden car, which runs on petrol, can even be driven in the rain and has been polished so thoroughly it looks like a brand new car. 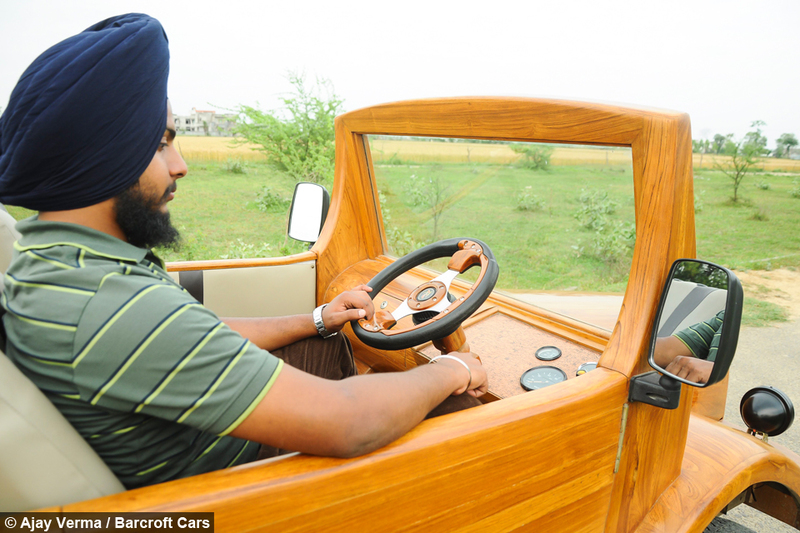 Amandeep said: "I was always passionate about designing cars and I wanted to come up with something on my own. 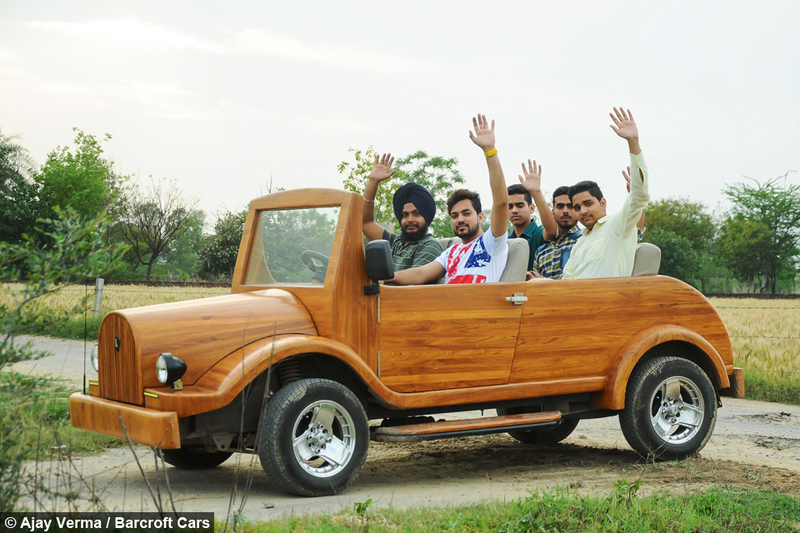 “With the help of my father I managed to build a wooden car." 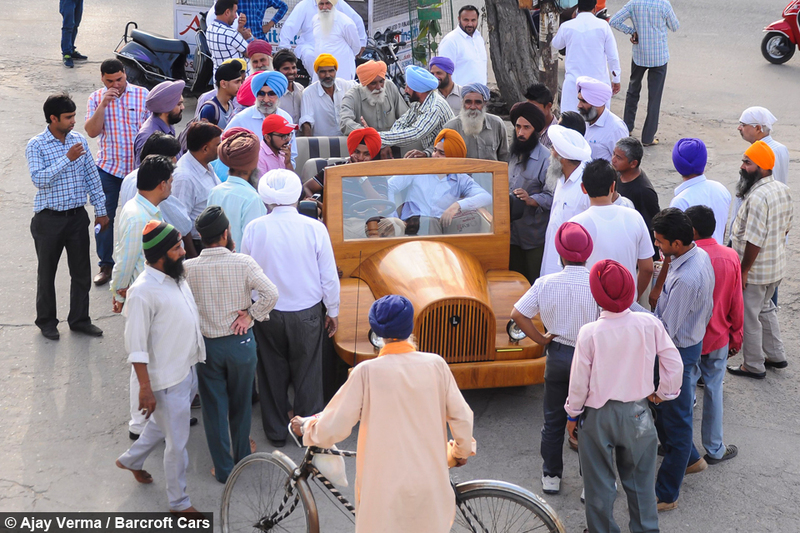 The remarkable motor has made Amandeep and Mohinder local celebrities as the wooden vehicle attracts attention wherever it goes. 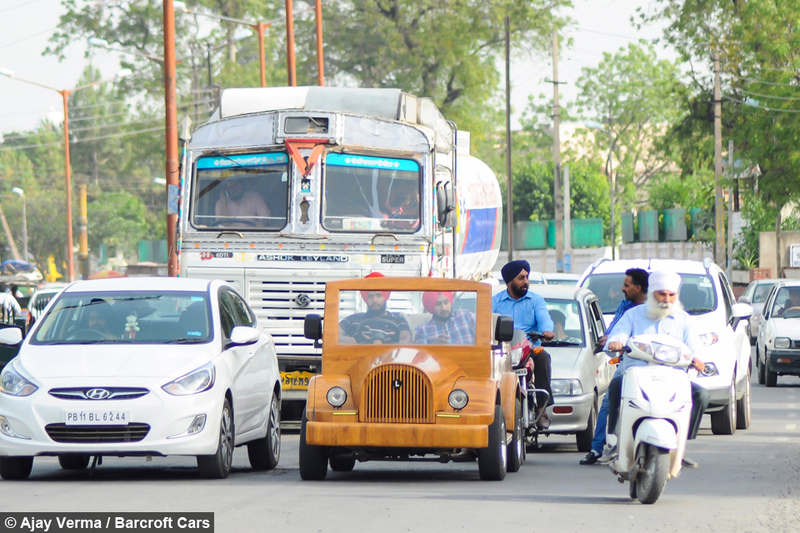 “Everyone asks me for my number and wants me to make a similar car for them - it feels great." Amandeep's mother, Jaswinder Kaur, is on cloud nine after her son's achievement. "He has done an extraordinary job and has made a name for himself in Punjab and even abroad," she said. 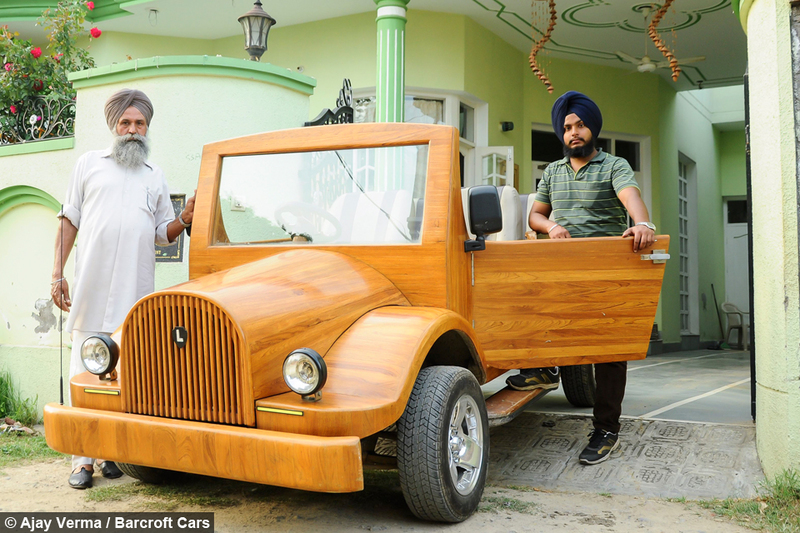 With their first wooden motor proving a success father and son are hoping to turn their unconventional vehicles into a business. 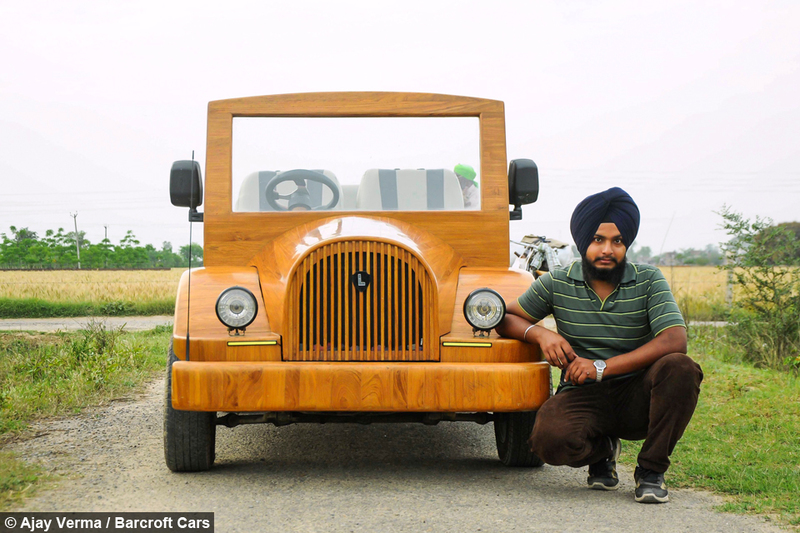 Amandeep said: “I would like to make more vintage cars and I’ll prepare their designs. 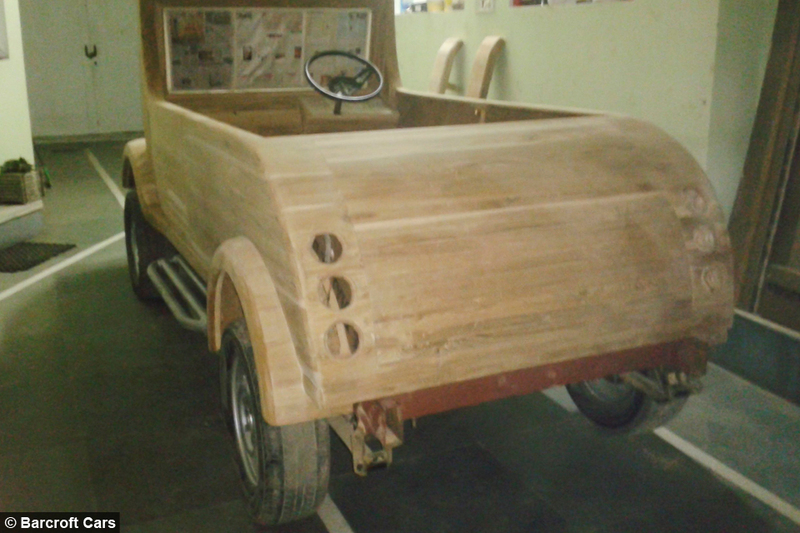 “I will combine the vintage appearance of wood to create a new look for these cars. “With my father's help I will build a lot more cars out of wood - there is a lot more to come in the future."